Sports and Recreational Training Arena or SPARTA, the only 10,000 square meter sports-facility in the country located in Mandaluyong City, has just opened its third gym in the complex. SPARTA now has 3 gyms that fitness enthusiasts can choose from or alternately go to - 360 Pro, Sparta Calisthenics Academy (SCA) and now, Alpha Strength. Alpha Strength owner Aaron dela Cruz, also known as Coach A, is a US Certified Level 1 Weightlifting Coach and also a certified Life Coach. 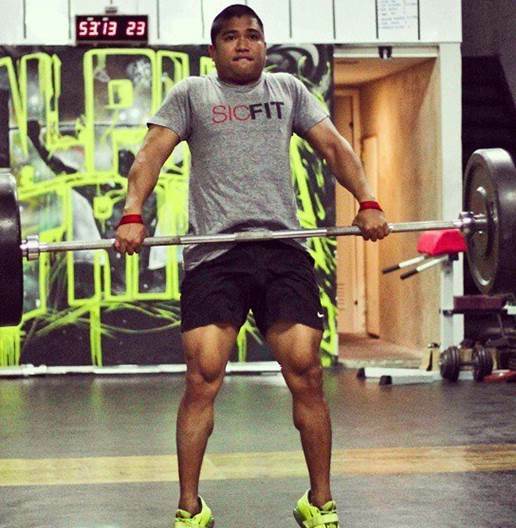 He was also a Gold Medalist in 2013 and 2011, for the Philippine National Raw Powerlifting Competition. According to Coach A, "We're all about making people stronger, because if you're stronger, everything becomes easier." Alpha Strength offers Power Lifting, Olympic Weight Lifting and Fitness Classes. “At Alpha Strength, you are not just forced to do reps, you are made to do things at your own pace. The number of work and the number of sets is up to you, it would depend on what you can handle. Compared to other gyms, we are really strength-based”, Coach A says. Coach A, who described himself as a scrawny little kid while growing up, turned to powerlifting to compensate for his lack of height. He felt that he can instead make himself stronger. Apart from the Indoor Football Field and the Sparta Calisthenics Academy, users may also try Yoga, Capoiera, Karate, Jeet Kune Do, Filipino Martial Arts, Fluid Tactics and 360Pro. Dance Studio at Sparta is also set to open soon.